We’ve reported earlier on Microsoft’s GDC 2018 plans with regards to game developers, but there will also be a large showcase of indie games via the ID@Xbox program. More than fifty games will be there for demonstration, with seventeen of them having just been announced for Xbox One. Among the new announcements, we can find 9 Monkeys of Shaolin from Sobaka Studio (the developers of Redeemer), Can’t Drive This from Pixel Maniacs, Flipping Death from Zoink Games (the makers of Fe), the recently unveiled PLANET ALPHA, Thief of Thieves (based on Robert Kirkman’s comic book series), and others. Other major titles due to be featured at GDC 2018 include My Time At Portia, already out on Steam Early Access where it enjoyed a strong reception; Black Desert, which just received the official website and forums made specifically for the Xbox One port; City of Brass, a procedurally generated first-person rogue-lite made by former Bioshock developers and already available on Steam Early Access; and then Strange Brigade, Earthfall, Descenders, Remothered: Tormented Fathers. Lastly, it’s worth noting that Chucklefish will bring both Wargroove (which is going to be an Xbox Play Anywhere game) and Starbound, a console launch exclusive for Xbox One and also an Xbox Play Anywhere game. 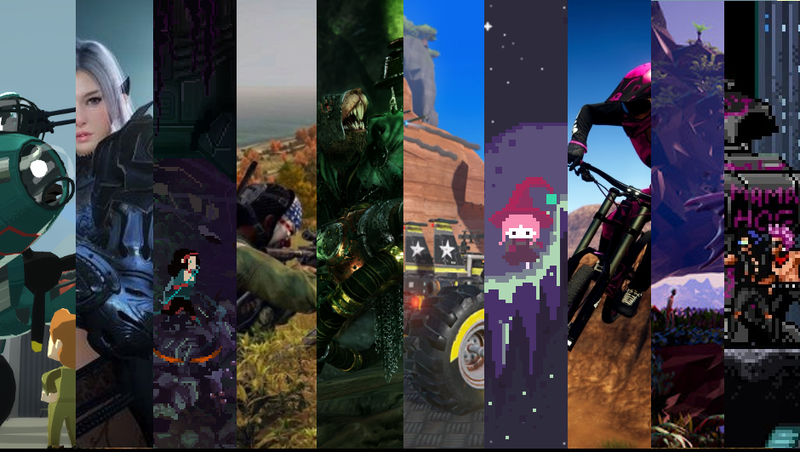 Which of these ID@Xbox titles are you interested in the most? Let us know in the comments section.